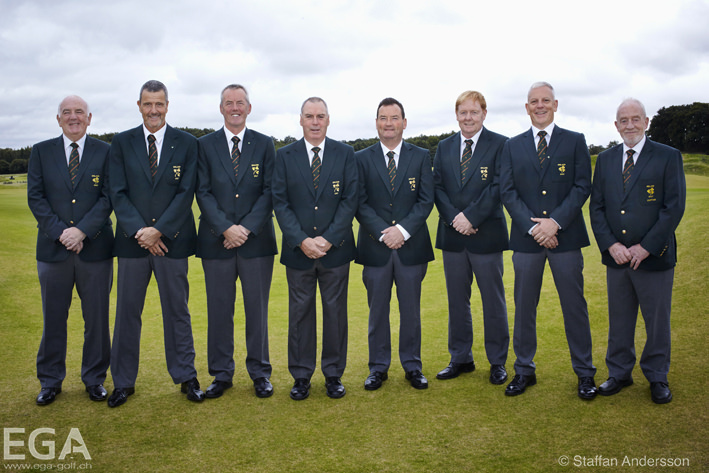 The Irish Senior team at the European Senior Men's Amateur Team Championship. Ireland will face hosts Sweden in the quarter-finals of the European Senior Men's Team Championship at PGA Sweden National. They finished tied second in qualifying behind Scotland on a countback after both teams ended the 36-hole strokeplay qualifier on four-under par, nine strokes ahead of England. Jim Carvill added a two-over 74 to his opening 66 and finished third in the individual standings, tied with England's Alan Mew on four-under par 140, four strokes behind Scotland's Ronnie Clark. Adrian Morrow (69, 72, 141) was fifth, Karl Bornemann (70, 72, 142) seventh, Garth McGimpsey (70,75, 145) 13th, Eamonn Haugh (72, 76, 148) 34th and John Mitchell (77, 76, 153) 59th. 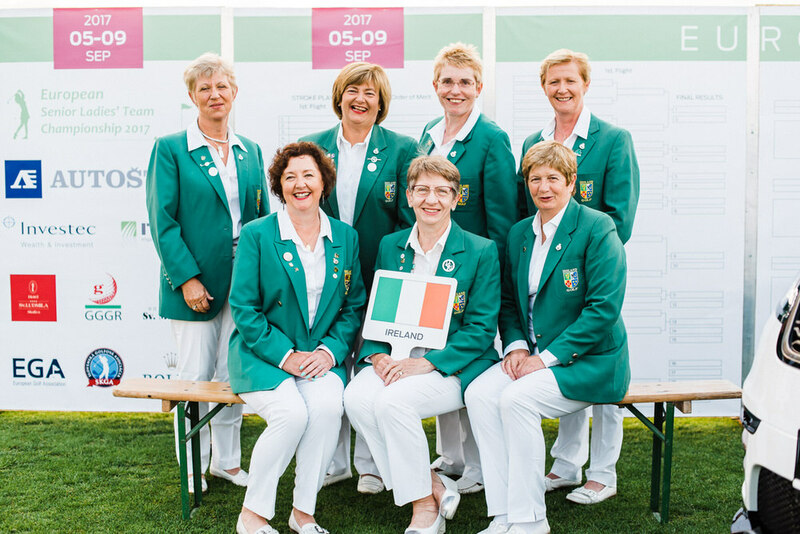 Ireland qualified in fifth place in the European Seniors Women's Championship at Skalica Golf Resort in Slovakia and will face Belgium in Thursday's quarter-finals. England topped the qualifiers by two strokes from Germany with France, Belgium, Ireland, the Netherlands, Sweden and Spain making the top flight. Laura Webb (73-73) was the top Irish player in the individual standings, tied for third on two-over, one stroke behind France's Nathalie Lamboult and England's Fiona Edmond. Suzanne Corcoran (77, 72, 149) tied for 15th with Catherine Reilly (80, 73, 153), Sheena McElroy (79,75, 154), Gertie McMullen (78,78, 156) and Carol Wickham (80, 77, 157) the other Irish scores.